Creating a compelling vision of the future is one of the best ways for an organization's leaders to encourage innovation, according to James Sax of 3M. "Setting up a roadmap toward that future creates an opportunity for people to start thinking about what the future could look like and coming up with innovative ideas," the research and development vice president said. Collaboration is another key to innovation success, said Sax, who spoke at the "Providing Leadership in Transportation Innovation" session at the January 2013 Transportation Research Board Annual Meeting in Washington, D.C. "Open up to as many collaborative partners as possible, both within your organization and outside your organization, to build that vision for the future." Willingness to change is also important, said Kirk Steudle, Michigan's state transportation director. "No one person has a corner on intelligence," he said. "We all have great ideas and we've got to be open to listening to them. It doesn't matter if you're the leader or the line worker or anywhere in between, you've got to be open to change." Organizational leaders are responsible for laying out the challenge of what the world could be like, but they don't need to know all the answers, said John Njord, executive director of the Utah Department of Transportation. Njord charged the department's traffic operations center, for example, with figuring out how to become world class. "As a leader, I don't know what the end game is, but I gave them the challenge and now they're working on it," he said. Federal Highway Administrator Victor Mendez agreed. "Just because you're in a leadership position doesn't mean you have all the answers," he said. "If you're amenable to listening to people and ideas, your organization is going to be much better off." 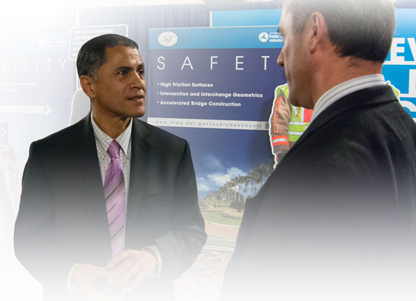 Innovation helps the highway community give taxpayers the best value for their money, FHWA Administrator Victor Mendez told TRB annual meeting participants. The transportation community has a history of taking time to adopt innovation, but "in today's world we simply don't have that kind of time. It's important for us as an industry to address issues as quickly as possible," Mendez said. That was the impetus for Every Day Counts, the Federal Highway Administration's initiative to accelerate project delivery and increase the use of proven but underused technologies. 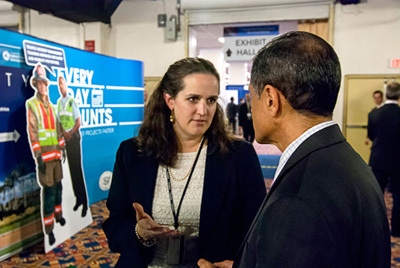 Through the initiative, FHWA engages the public and private sectors in identifying innovative solutions to the issues they face and provides support in deploying those innovations. "The bottom line is that we want better, faster and smarter solutions to be implemented and to be able to give taxpayers the best value for their money," said Mendez. "They want good things from us. They want infrastructure that is safe, efficient and sustainable. But they want it today. They don't want it 14 years from today." Nothing frustrates motorists more than a several-mile-long construction zone with no activity, said Njord. "They want to see an urgency in the work that we do in such a fashion that they believe that we understand how important it is that we get out of their way," he said. In addressing issues such as faster project delivery, organizational leaders need to be willing to turn talented professionals loose to be innovative and backstop them when they fall short. "Things will not always go the way you thought they would go," Njord said. "As a leader you have to be able to say 'when it fails it was my idea and when it succeeds it was your idea.'" It's important to recognize that innovation is happening all around the country and good ideas are bubbling up throughout organizations, Steudle said. "It takes the leadership at the top to enable that to happen," he said. It also takes willingness to avoid a "that's not how we do it here" tendency. "I really wish we didn't have to reinvent the wheel 50 times," Steudle said. "If I could snap my fingers and do one thing it would be that we would accept the fact that somebody else has already done something and that a lot of things are similar. We should embrace the things that are similar instead of trying to find reasons they're different." At another TRB meeting session, "Deploy! 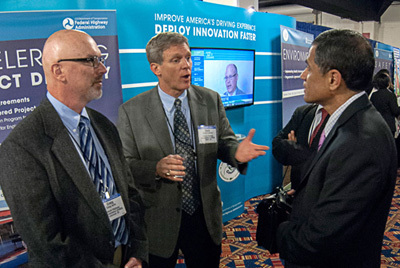 Case Studies of Successful Technology Deployment Methods," Byron Lord discussed the Highways for LIFE initiative to accelerate innovation deployment. "Highways for LIFE has yielded many lessons that will benefit the highway community as we continue to mine the full potential of innovation to improve the way we build highways," said Lord, senior advisor at the FHWA Center for Accelerating Innovation. Proven innovations can be used to save money, increase safety, minimize the impact of construction on traffic and extend the service life of roads and bridges. Successful innovation deployment requires focused follow-through. A program that encourages new ideas and provides assistance helps overcome barriers to using innovation. An effective way to promotes innovation is to enable potential users to see it in action, such as on a demonstration project. Peer support and information exchange are valuable tools in advancing innovation implementation. Emphasis on highway community involvement is critical to success, Lord said. It ensures that the best strategies are identified and used, it creates networks that spread the word about innovation, and it builds public confidence that tax dollars are being spent well. The Highways for LIFE initiative is a good program that focuses needed attention on innovation, participants in a survey on the initiative reported, and it will be a loss when it ends. "It served as an innovation incubator," one survey respondent said. It provided "the invitation to think outside the box," said another. 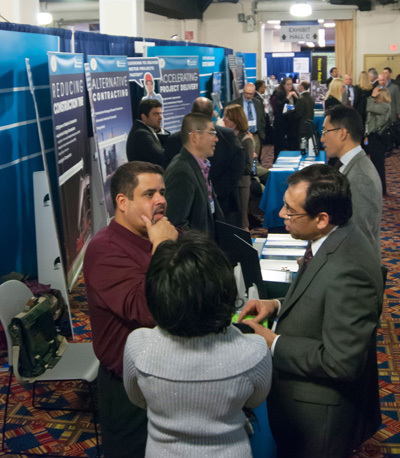 FHWA's Center for Accelerating Innovation displays at the TRB annual meeting drew visitors interested in learning how deploying innovation is improving the nation's highway system. The December 2012 survey was part of an effort to gather information from key stakeholders as the Federal Highway Administration program winds down. Focus groups and phone interviews were also conducted to get feedback. The findings will be used to improve and initiate other FHWA programs on innovation deployment, such as the Every Day Counts initiative to implement innovation to speed the delivery of highway projects. The survey targeted stakeholders in four groups—owners (government agencies), industry suppliers, highway users and industry professionals. Most of the respondents represented owners. The U.S. Congress established Highways for LIFE in 2005 as a pilot program to improve America's driving experience through innovative construction practices. The consensus among survey participants was that the program achieved its goals, which included improving safety during and after construction, reducing congestion caused by construction, enhancing the quality of the highway infrastructure, speeding up construction and lowering construction costs. Participants reported that improving safety was the goal with the highest achievement rate, while cutting costs had the lowest achievement rate. In particular, respondents said that providing seed funding for projects created excitement, spurred innovation and provided a buffer that enabled state highway agencies to take risks with innovative projects. Nearly half of the respondents noted that pilot project funding was one of the greatest benefits of Highways for LIFE, particularly during a time of constrained funding for the highway system. They expressed disappointment that other FHWA programs do not have a competitive grant component for innovative pilot projects. "For all of the potential pitfalls and barriers, FHWA has done a great job in encouraging states to try new processes or products," one survey participant commented. "I hope that a next generation of this program will continue with sufficient funding to encourage the use of innovative products and ideas." A benefit of the Highways for LIFE program is that it "enables states to try something new," a survey participant said. "I think a national leadership role in encouraging innovation and providing some funding to support that position was probably the greatest outcome," another respondent noted. "The paperwork for submission is cumbersome," a state highway agency official said about the Highways for LIFE project application process. "The process was time-consuming and rigid for people providing applications that may not fit the mold," said another respondent. In recommending broader efforts to market innovation to the public, one respondent said, "No matter how much FHWA feels like it was communicating and marketing the program, it's difficult to maintain the momentum with all of the changes that states and industry go through over a decade." The Louisiana Department of Transportation and Development will use three innovations to shrink construction time, reduce cost and improve driver safety when it rehabilitates a stretch of pavement in Shreveport. Construction is expected to begin this spring on the 1-mile (1.6-kilometer) project on LA 511 through Shreveport to Bossier City. The contractor won the project with a low bid of $5.3 million when days of construction were included as part of an A+B, or cost-plus-time, bid. The project was awarded a Highways for LIFE grant for innovation use, said Jerry Pitts, area engineer with the Federal Highway Administration Louisiana Division. Nearly half of the project length will consist of concrete patching and placement of 0.75 inch (19 millimeters) of open-graded friction course on an existing 9-inch (229-millimeter) concrete pavement. The remaining section will involve widening the existing concrete pavement by 9.5 feet (2.8 meters) on each side with 10 inches (254 millimeters) of portland cement concrete and placing a thin layer of open-graded friction course across the entire pavement. An innovation in Louisiana, open-graded friction course is a porous, gap-graded, bituminous mixture with a high percentage of air voids. The high air void content and the open structure of the mixture promote drainage of rain water. That improves safety—a Highways for LIFE performance goal—by minimizing the potential for hydroplaning in wet weather. The open-graded friction course also reduces splash and spray behind vehicles and improves wet weather skid resistance. Other benefits include less pavement noise and roadway glare during wet weather, which improves night visibility of pavement markings. Louisiana's limited experience with open-graded friction course shows that it can drastically reduce wet weather crashes. On a section of Interstate 20 near Monroe, a three-year average of wet weather crashes was 30.1, a number that dropped to just 5.7 after an open-graded friction course was placed. A second innovation on the LA 511 project is the use of an asphalt-treated base course under the new concrete pavement. Such base courses speed construction because minimal roller compaction effort is required after the mixture is placed with a paving machine. Traditional aggregate bases require more extensive manipulation, said Pitts. He estimates that the construction time for the asphalt-treated base is 50 percent less compared to traditional methods, which means less construction-related traffic congestion. "Our research indicates that ATB has a much greater improvement over unbound granular base materials in terms of stiffness and resistance to permanent deformation," said Pitts. "In addition, another analysis shows that asphalt-treated mixtures can be used to extend the service life and/or reduce the design thickness of a pavement structure." The third innovation on the project is precast gravity retaining walls. Traditional cast-in-place retaining walls require in-place forming and larger excavation areas than do precast gravity walls. Pitts said the construction time for building and backfilling the gravity retaining walls will be significantly less than cast-in-place walls and less than mechanically stabilized retaining walls. What's more, precast walls require less right-of-way acquisition, which lowers project cost. To meet Highways for LIFE smoothness goals, the state transportation department is offering substantial financial incentives to the contractor in return for improved smoothness of the open-graded friction course. For a smoothness improvement of 40 percent the incentive is $50,000, for a 60 percent improvement the incentive is $100,000, and for a 75 percent improvement the contractor will win a $150,000 bonus. For more information on Highways for LIFE demonstration projects, visit www.fhwa.dot.gov/hfl/projects. From speeding up construction with prefabricated bridge sections to enhancing safety with new-style interchanges, highway agencies are using innovative technologies and techniques. The Virginia Department of Transportation used a prefabricated bridge span to reduce traffic impact during construction of the new Gilmerton Bridge in Chesapeake. Crews floated the span 5 miles (8 kilometers) along the Elizabeth River before installing it. Route 13, Military Highway and nautical traffic were originally scheduled for a 14-day shutdown, but crews were able to finish the installation in just seven days. Motorists using the new bridge will experience fewer lifts and less congestion, and mariners will benefit from its enhanced vertical clearance. The Michigan Department of Transportation now has two congestion-reducing adaptive signal control technology systems in operation. One, on a major state route in the Saginaw area, involves eight signals, while another, on a Lansing-area corridor, covers nine signals. North of Detroit, about half of the Oakland County Road Commission's 1,500 signals are Sidney Coordinated Adaptive Traffic System signals. The city of Ann Arbor has deployed Split Cycle Offset Optimization Technique at 44 intersections on three major corridors. The Michigan DOT is studying ASCT for the M-32 corridor through Gaylord, and the city of Grand Rapids and Macomb County are considering ASCT. A January groundbreaking ceremony marked the start of construction on the $125 million Interstate 64 Daniel Boone Bridge over the Missouri River, linking St. Louis and St. Charles Counties. The Missouri Department of Transportation is using design-build, an accelerated project delivery method, on the project. The new bridge will carry four lanes of eastbound traffic and a shared-use path. The existing eastbound bridge will be rehabilitated and become a four-lane westbound bridge. The existing westbound bridge with three narrow lanes will be removed. Project completion is slated for late 2015. Idaho and Nevada are using diverging diamond interchanges to enhance safety and reduce traffic congestion. The Idaho Transportation Department plans to kick off construction of its first DDI in the Chubbuck-Pocatello area in 2013. The project's purpose is to replace an existing bridge over Interstate 86 and increase the capacity and safety of the interchange. The Nevada Department of Transportation opened the reconstructed Moana Interchange at Interstate 580 in Reno to traffic just 64 days after groundbreaking. Not only did the project feature Nevada's first DDI, it was the agency's first using the construction manager-general contractor method to accelerate project delivery. The National Marine Fisheries Service has signed statewide Federal-Aid Highway Programmatic Biological Opinions for Oregon and Washington. In each state, the programmatic Endangered Species Act consultation covers most transportation project activities, including bridge replacements, fish passage improvements, and mobility and safety projects. The measures will reduce the cost and time required for biological assessment preparation by switching to an electronic report format. Documentation costs are expected to drop by up to 50 percent and formal consultation timelines by up to 85 percent, from 200 to 30 days. For more information on using innovation in highway construction, visit www.fhwa.dot.gov/innovation/everydaycounts and www.fhwa.dot.gov/hfl. Using precast concrete pavement system technology enabled the California Department of Transportation to rehabilitate a congested urban roadway with minimal traffic disruption while maintaining high safety standards and producing a pavement with a long service life. "This project highlighted the importance of emphasizing these project goals during the planning, design and construction phases," the Federal Highway Administration reported in California Demonstration Project: Pavement Replacement Using a Precast Concrete Pavement System on I-15 in Ontario. 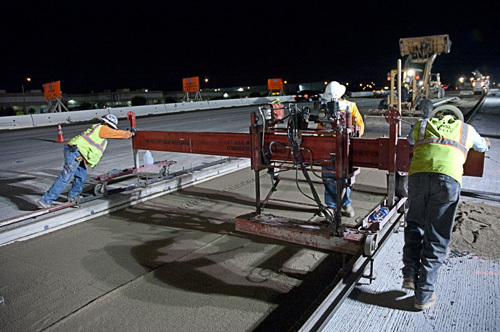 The project, which received a Highways for LIFE grant to use innovation, featured the installation of more than 700 PCPS slabs on a 4.7-mile (7.5-kilometer) stretch of I-15 that serves about 200,000 vehicles a day. The old concrete was removed and the new Super-Slabs® installed during nighttime and weekend closures. The California DOT expects the PCPS to last more than 30 years, compared to 10 years for conventional cast-in-place concrete. An independent, multidisciplinary team performed a road safety audit during the project's early stages to identify potential safety issues. The California DOT incorporated several of the team's recommendations into the project. The agency used schedule and traffic analysis software known as Construction Analysis for Pavement Rehabilitation Strategies, or CA4PRS, to select the most effective and economical strategy for the job and optimize construction staging plans. The CA4PRS analysis helped the agency estimate the number of road closures needed and set incentive and disincentive clauses in the construction contract. Designers also used Dynameq™ software to quickly and efficiently analyze multiple scenarios for congestion relief and lane management during the project. Using PCPS did not reduce the time construction affected motorists because the conventional approach of using fast-setting concrete could have been done during similar nighttime work windows, so the project did not meet the Highways for LIFE goal of cutting traffic impact in half. But the construction sequence and staging, including paving two median lanes, reduced construction congestion by maintaining traffic flow that was similar to preconstruction conditions. Crash rates dropped nearly in half during construction compared to historical rates, which met the Highways for LIFE goal of achieving a work zone crash rate equal to or less than the preconstruction rate. The project enhanced the road's smoothness. Its International Roughness Index measurement dropped from 225 inches per mile before construction to 66 after, still short of the Highways for LIFE goals of 48 inches per mile. The new pavement is also noticeably quieter, although it does not meet the Highways for LIFE goal. Most motorists surveyed were satisfied with the finished highway and the way the project was carried out, which met the Highways for LIFE goal for user satisfaction. An economic analysis of the $52 million project that accounted for construction, road user and safety costs found that using PCPS cost about the same as conventional cast-in-place methods. "This project serves as a great example of the use of multiple innovations on a large-scale project," the FHWA report noted. It also demonstrated key success factors: the breadth of knowledge and expertise required on projects that involve several engineering aspects, the importance of planning and attention to details, and the significance of good communication across agency divisions. The project demonstrated that PCPS construction can be used successfully for rapid repair of urban highways with heavy traffic. The analyses performed to develop the construction staging plan and evaluate the network-wide impact of staging scenarios were useful in developing incentive and disincentive clauses in the construction contract. Through efficient use of equipment and combining of construction stages made possible by lower-than-anticipated traffic impacts, the contractor was able to finish the job with fewer major closures than expected, information that will help in planning future projects. A Highways for LIFE showcase during the project enabled transportation professionals from around the country to observe the PCPS casting process at a precast plant and the nighttime installation of slabs at the I-15 work site. To read the California report and other technical reports on Highways for LIFE demonstration projects, go to www.fhwa.dot.gov/hfl/projects. Geographic information system tools are helping states balance the needs of transportation projects with environmental conservation. Using mapping technology, these tools analyze assets to develop optimal paths for both transportation improvements and environmental stewardship. One example, Maryland's experience planning a 13-mile (21-kilometer) transportation corridor through environmentally sensitive areas, is explained in "GIS Tools for Linking Transportation and Natural Resource Planning," a Federal Highway Administration Web conference available at www.fhwa.dot.gov/hfl/projects. The Webinar is part of the "Innovation" series sponsored by Highways for LIFE and the National Highway Institute. 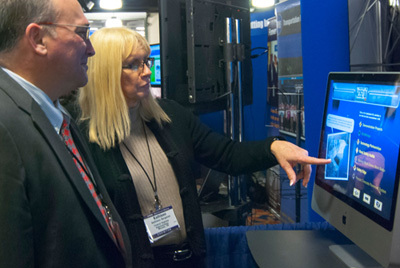 The American Association of State Highway and Transportation Officials Technology Implementation Group, which is promoting the use of GIS tools as one of its ready-to-use focus technologies, also sponsored the event. In Maryland, early collaborative planning brought the State Highway Administration together with the state's natural resource agencies and nongovernmental groups to produce an ecosystem-based framework to use in guiding transportation decisions and other infrastructure needs. "The goals and missions of environmental protection and transportation are merging," said Heather Lowe, a team leader with the Environmental Planning Division of the Maryland SHA and a Webinar speaker. "When taking the right approach, we can mitigate from one resource, but have other resources benefit from the same action. The result is a project outcome that goes beyond single-source regulatory compliance and fosters environmental stewardship." Crews prepare to install precast slabs on a California road rehabilitation project. Interagency cooperation is a recurring theme in Maryland's experience. Lowe explained that early multiagency integration speeds project delivery without sacrificing environmental concerns, aligns governmental priorities and strengthens working relationships. One GIS tool—Green Infrastructure Network Design—is explained in the Webinar by Dr. Christine Conn of Maryland's Department of Natural Resources. Green Infrastructure Network Design, she said, was developed to identify and prioritize landscape features for conservation, restoration and smart growth. That's not easy to do in Maryland, where the environmental challenge is rapid urban sprawl and the transportation needs that come with it, she said. The GIS analysis developed in Maryland strives to include a full range of ecosystem elements—plants, animals, streams, wetlands and aquatic resources—versus a single-species focus. The GIS system helped create color-coded maps that show hubs and corridors of ecological systems. Both hubs and corridors were ranked based on multiple ecological factors. In fact, Maryland has developed a comprehensive statewide land conservation plan called Greenprint. Land conservation targets are mapped, and state conservation funds are restricted to those areas only. The Green Infrastructure Approach was used to help plan transportation improvements to address current and future traffic congestion in the Waldorf, Md., area, said Craig Shirk of Gannett Fleming Inc., an engineering consulting firm. In 2005 the Maryland SHA changed its approach to transportation needs in the corridor. The SHA committed to an interagency process to develop a transportation solution that would leave the environment in better shape than before. Partners in the effort included the SHA, Conservation Fund, Maryland Department of Natural Resources, U.S. Environmental Protection Agency, U.S. Army Corps of Engineers and U.S. Fish and Wildlife Service. Core ecological areas are aggregated into hubs with corridors joining them. Field surveys identified rare, threatened or endangered species, and a plant survey pinpointed eight areas that support those species. Again, a color-coded GIS map was created to show combined core areas of ecological conservation. "We really had a difficult time to find the best path for U.S. 301 that minimized impacts on communities and natural resources," said Shirk. To draw the balance with available funding, the SHA worked with the Conservation Fund to develop an Optimization Decision Support tool. With it, multiple decision-making criteria are used to select high-value alternatives. 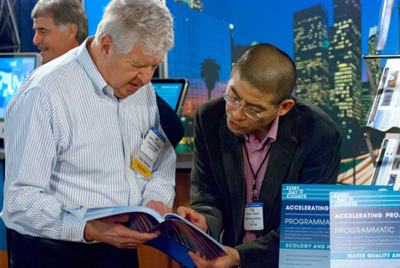 To view past Innovation Webinars and register for future sessions, go to www.fhwa.dot.gov/hfl/projects. For more information on environmental planning GIS tools, visit http://tig.transportation.org/Pages/EnvironmentalPlanningGISToolsforTransportationPlanning.aspx or scan the QR code with your mobile device. Innovator, published by the FHWA Center for Accelerating Innovation, advances implementation of innovative technologies and accelerated project delivery methods in the highway industry. Its audience is transportation professionals in highway agencies, trade and research groups, academia and the private sector and the driving public.